A comprehensive Yoga teacher training program will cover far more than just poses. 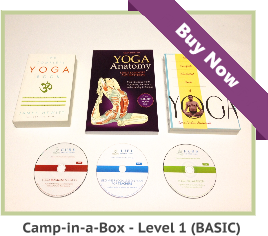 A comprehensive program will definitely cover the philosophical tenets underlying all of the Yogic practices. It will also clarify the physical, emotional and spiritual benefits of a regular practice. Additionally, a thorough teacher training program will have some instructional modules focused on working with special populations, such as at-risk teenagers and cancer patients. A comprehensive instructor training intensive will also cover the subtleties and nuances of teaching classes. The philosophical tenets that underlie Yogic practices are based on ancient Vedic teachings from India. The Vedas, and the scriptural texts that arose from the Vedas, form a great body of knowledge about the science and embodiment of Yoga. According to Pantanjali, there are eight different main limbs of Yoga training, including meditation, asanas, self-inquiry and pranayama. Understanding the philosophy on which Yogic philosophy is founded is critical to the knowledge base of an intern (teacher trainee). This knowledge will give an intern a firm and thorough understanding of the depth and history of Yogic practices, as well as enumerating the many benefits of a regular practice. 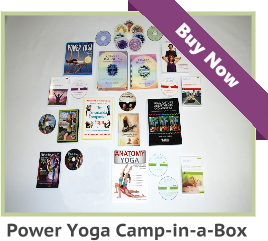 The more in-depth Yoga instructor training courses will also contain several instructional modules on how to work with different types of students who have a variety of health profiles. These populations range from athletes to seniors to children. These are only some of the groups with whom teachers are working with. There is a rising recognition of the many benefits of Yoga amongst the military, educational, prison, respite, and hospital systems. Many individuals in these settings benefit greatly from the profoundly mental, emotional, and physical affects of a steady practice. These specialized niches also open up many new opportunities for teachers to offer instruction to under-served populations. An aspiring Yoga teacher who enrolls in a comprehensive training program will also learn about the physical nuances of gearing his or her class to the needs of students in the class. Designing an appropriate asana sequence is a critical skill to teaching an approachable, yet challenging class. From day to day, the students who come to participate in your Yoga class will change. A great instructor training program will offer you suggestions on how to tailor a practice to match the ability and energy level of your students on any given day. This is one of the many finer points of teaching that will be covered by an in-depth teacher training program. 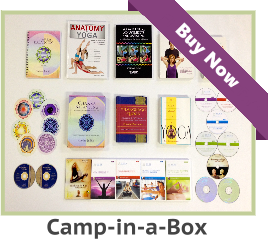 To see our selection of Online Yoga teacher training courses, please visit the following link. If you are a Yoga Teacher, studio owner, blogger, e-zine, or website publisher, and are in need of quality content, please feel free to use my blog entries (articles). Please be sure to reprint each article, as is, including the resource box above. Namaste!